Abby Green, 23, from Niagara in Ontario, Canada, was diagnosed with the condition that makes her bones as ‘fragile as glass’ after being born with a broken hip and other hairline fractures. 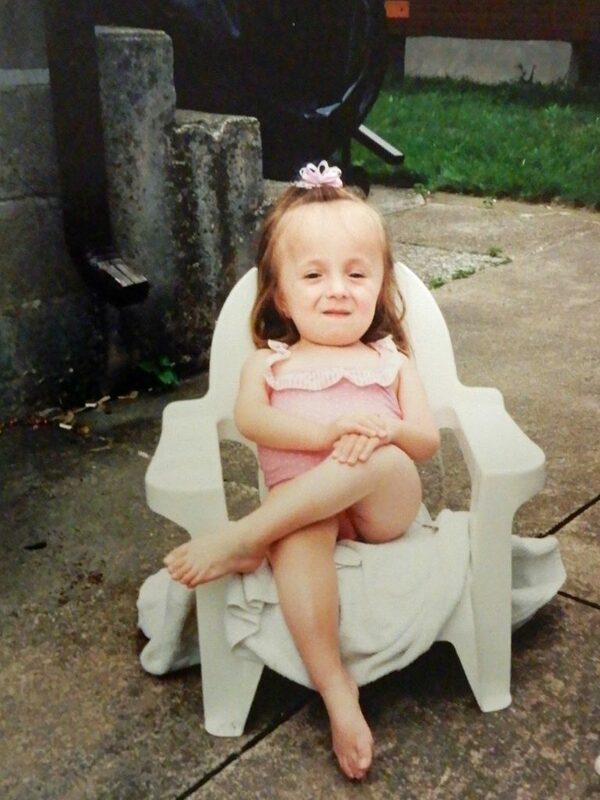 Doctors initially believed her case of brittle bone disease, officially called osteogenesis imperfecta, would kill her before she passed infancy. 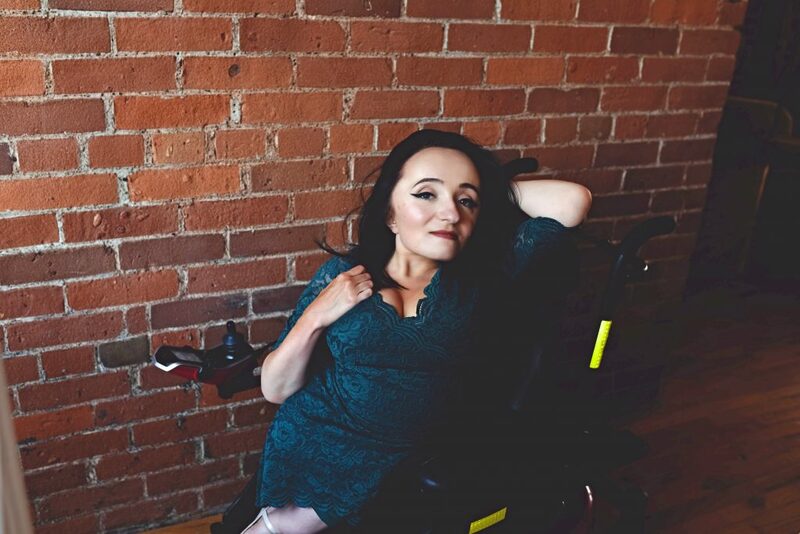 She started using a wheelchair to protect her bones, which she describes as being as weak as ‘uncooked spaghetti’ and referring to herself as ‘breakable, but not broken’. Abby learned to accept her disability during her college years, going on to defy those who put limitations on her and make cruel comments. 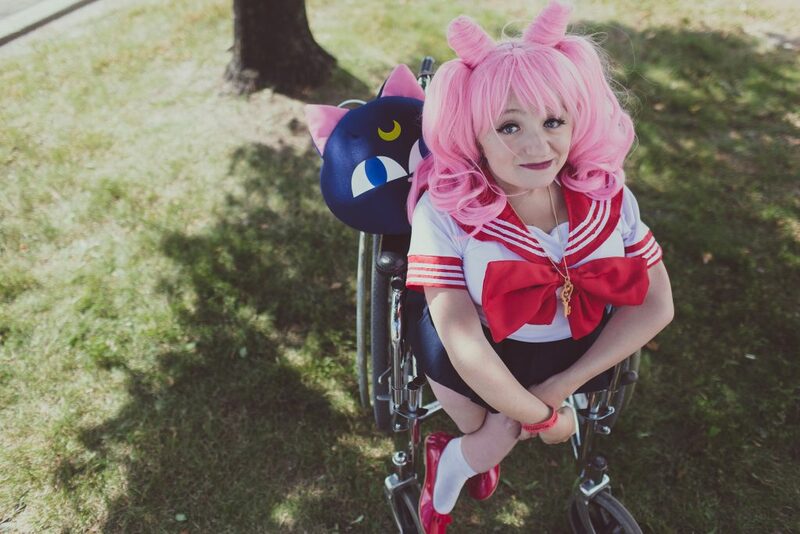 She developed extra confidence thanks to cosplay, where she says people don’t stare at her wheelchair and talk to her about the characters she’s portraying not her disability. Abby, a radio producer, said: “Doctors initially said I wasn’t supposed to live past infancy, I was supposed to die as a baby and then never be able to do a whole host of things. “They didn’t know if I’d be able to go to high school, graduate, get a job and more, whatever was expected because of how breakable I am never mattered, I kept beating expectations. “The reality of the situation is in a wheelchair people look at you like you’re a monster, people walk into poles because they are staring at me and not looking where they are going. “I have dealt with things like that my whole life as well as people speaking really slowly to me because they think I have a mental disability. “Everything changed for me after I became comfortable with who I am and accepted that while I have a disability it won’t define me, I will make the most of my life. “I felt even more accepted, after going to my first cosplay event four-years-ago dressed as Ariel from The Little Mermaid, no one in a wheelchair had worn the fin before, now it’s everywhere. “Since then I’ve dressed as The Joker, Wonder Woman, Anime characters and more. 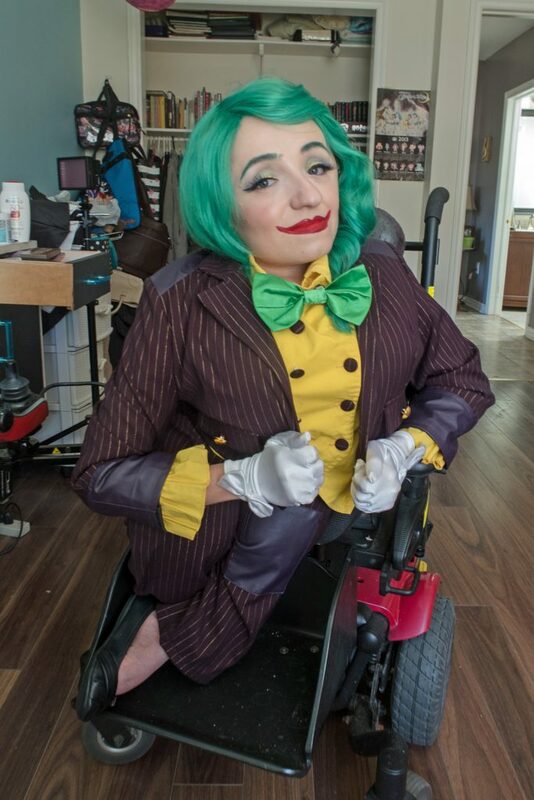 “I was once Poison Ivy from Batman and was able to incorporate my wheelchair by having vines spread through the chair, it took three solid days to put together but was worth it. “I am really into cosplay because it’s such a different vibe to normal life, if people have questions they aren’t mean or malicious they genuinely want to know. “I don’t get stared at in conventions and people complement my costume rather than staring at my wheels, it’s a great atmosphere and has helped to empower me even more. As a child Abby would spend six-months of her early years on bed-rest, due to breaking bones and with them being so weak a cast would risk harming them further. Abby said: “When I was born, I had a broken hip and some hairline fractures in my legs and arms, for the first six-months of my life I screamed a lot from all of the damage but then it got better. Over time, her bones started to strengthen thanks to physical and occupational therapy, alongside finding herself in harm’s way less often. Abby said: “When you break a bone, the energy normally used to get stronger is used to heal instead, it wasn’t until I grew older and became injured less that they started to strengthen. Throughout her life Abby says she has felt victimised because of how people see those in wheelchairs. While studying broadcast journalism she started to accept herself and her disability after seeing herself present on TV every day. Abby said: “There was definitely a mourning period where I was sad and angry that I would never be conventionally pretty, there was a time where I didn’t feel good enough but now I’m proud. “Before I was reliant on what others were saying or doing, now I do what I want and even though I’m weirdly shaped that’s alright, it was how I was supposed to be made. “You were made to be the best version of yourself so you have to do whatever you can and not worry about what you can’t change, I can’t give myself a new skeleton but I can find happiness. Abby also presents make-up tutorials online, which she says allows her to talk about disabilities on an online platform, attracting 900 subscribers in less than two years. She said: “I create the tutorials because they are fun and people already stare at me in my wheelchair so I can do whatever I want with my make-up. 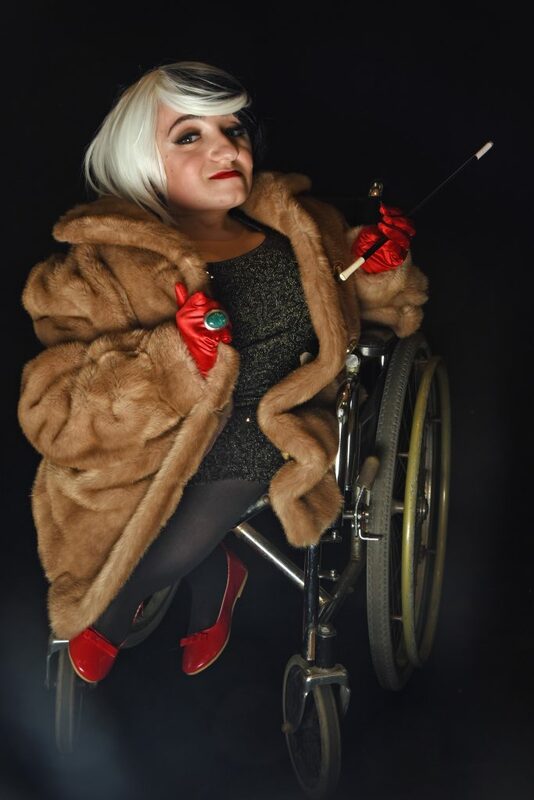 Abby attributes cosplaying as one of the keys to accepting herself and embracing her differences, but says due to her condition it’s still risky attending events. Abby said: “Because you’re packed in like sardines in there, I’m definitely more nervous, I’m breakable so I have to be on alert all the more.